“People have intensions to save” but “get derailed by the lack of a clear, easy path to start saving,” said Innovations for Poverty Action’s (IPA) Jonathan Zinman, a Dartmouth College economist who worked with Coleman to create the product. The non-profit IPA granted $15,000 this month to set up RiteCheck’s program. IPA is testing other programs for low-income people, including a savings account with a low $15 minimum deposit at a Washington, D.C., credit union and a debt-repayment program at a Tulsa, Okla., tax-filing service. Check-cashing companies are often criticized – people, sometimes incorrectly, think payday loans. Coleman said his industry is “one of the most misunderstood on the face of the earth.” But that’s where low-income people do their banking, and the companies are concentrated in minority and immigrant neighborhoods. RiteCheck customers can’t justify paying a bank’s high fees, Coleman said, and banks don’t want “customers with high [transaction] volume and low balances” either. That’s not entirely the case: Traditional commercial banks have community banking divisions that offer low-cost checking accounts to low-income customers. 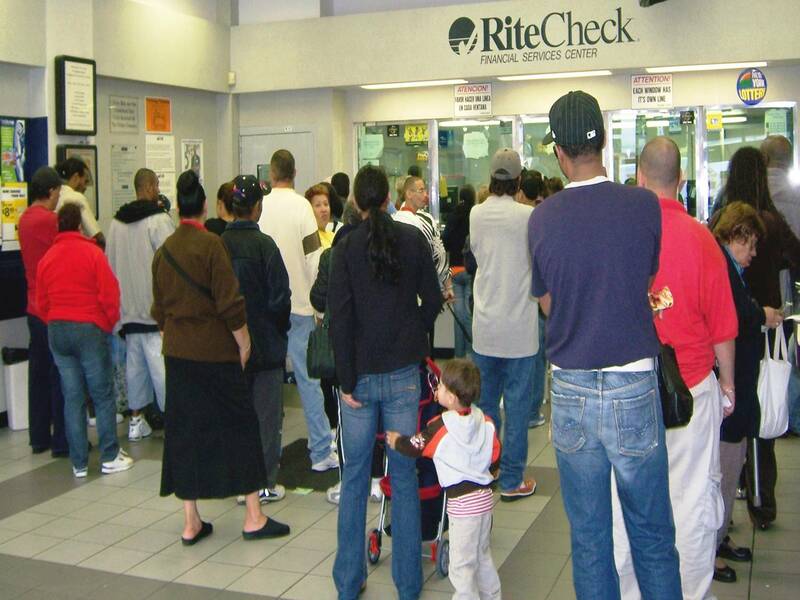 But Coleman maintains that check-cashing firms are still “cheaper than banks if you’re low income.” RiteCheck, which has operated since 1956, charges a fee for each transaction, from cashing checks to selling MetroCards and accepting cell phone and utility payments – $1 to pay a bill, for example. Savings account deposits will be free. An important feature for the impulse savings program is that cash-strapped customers want to know that if they deposit $10 today, it can be withdrawn tomorrow for an emergency. Savings programs for low-income people often require them to commit to lock their money away, but they need “liquidity,” Coleman said. He also said the plan may require regulatory approval. So, will it work? IPA will test whether it spurs people to save and how much. Squared Away will report on the results. It would work for sure, a great idea! It’s really very essential to save money. It’s the need of the hour. As people are becoming more price-conscious, impulse saving only comes as second nature. I believe it’s something about mind over matter; for example, how much you save by not buying that extra coffee or the extra salad, really goes a long way for the pocket. First time hearing “impulsive saving,” but I’m sure it will help to a lot of people. I hope someone will think of this in Australia. Great post here. As an ex-student, I think impulse saving is area that everyone has experienced. However, I feel that there are always payday loans to turn to. As long as you are frugal with the money, these can work, if you have overspent. At the end of the day, we are all human and impulse saving is going to come as naturally as impulse savings in the future.